The dough will be easier to work with if it is thawed but still cool. If possible, thaw the dough in the refrigerator overnight. 1. Preheat oven to 375 °. Lightly grease 12 muffin cups. 2. On a lightly floured surface, flatten each thawed dough ball and roll into a 5 inch circle. 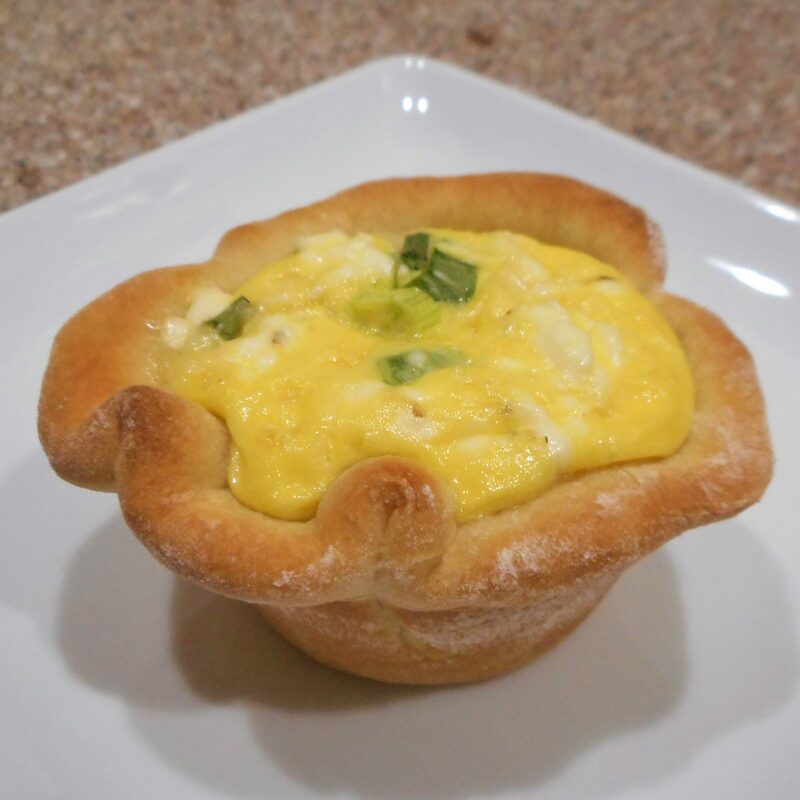 Fit each into a muffin cup and crimp the top edge into a rim. Set aside in a warm place while you work on the filling. 3. Place bacon on a wire rack set over a foil lined baking sheet. Bake until crisp and evenly brown. Place on a paper towel lined plate to drain. When cool, crumble and set aside. 4. Place the cream cheese, milk, and eggs in a medium bowl, and beat until smooth with an electric mixer set on Low. Stir in Swiss cheese, green onion, salt, and pepper and set aside. 5. 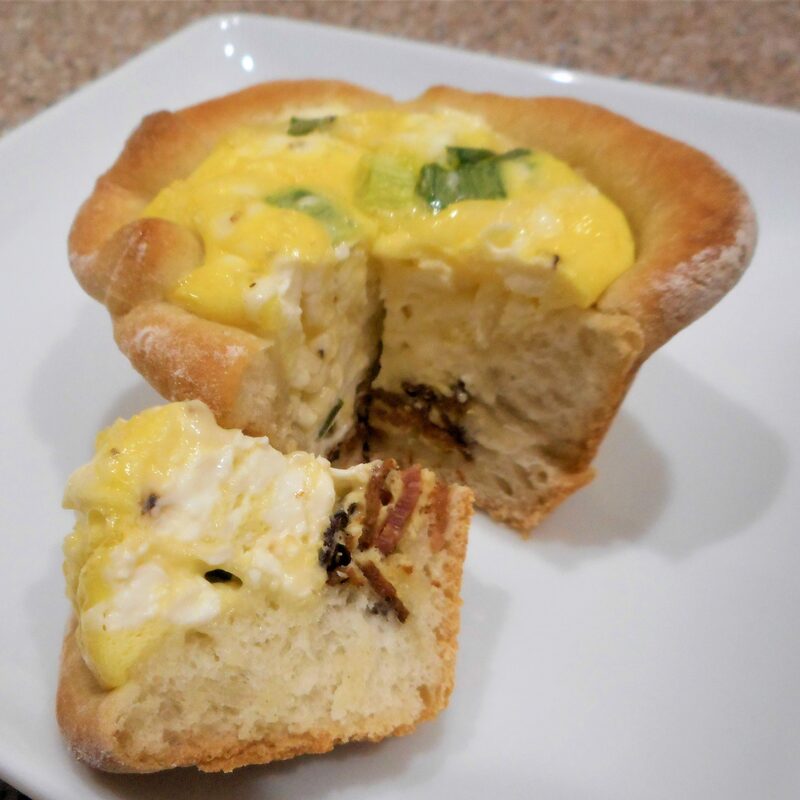 Sprinkle the bacon into the bottoms of the dough-lined muffin cups. Divide the cream cheese mixture evenly between the cups. 6. Bake 20 to 25 minutes in the preheated oven, until filling is set and rims of the tarts are golden brown. Remove from pan, and serve warm.